With “JSS,” The Walking Dead moved Season 6 into high gear with a shocking, action-packed episode. “JSS” was directed by Jennifer Lynch and written by Seth Hoffman. The narrative of the episode held strong throughout all of the action, conveying a lot of information about quite a few characters while also keeping us on the edge of our seats. 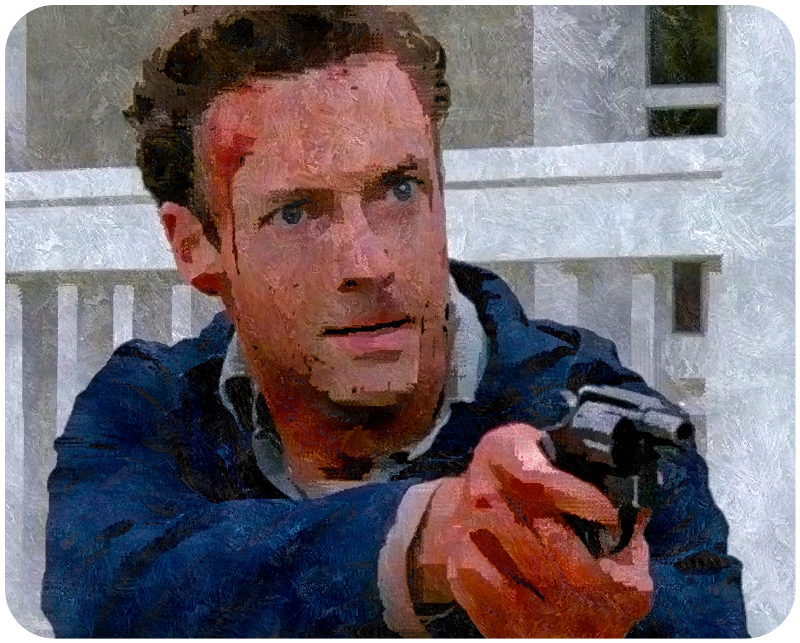 “JSS” exemplified the “show, don’t tell” approach that is the strength of The Walking Dead. The Season 6 premiere, “First Time Again,” gave us the biggest herd of walkers we have seen on The Walking Dead to date. Though that storyline remains unresolved, The Walking Dead gave us a completely different event at Alexandria occurring simultaneously. “JSS” did answer the cliffhanger question of who was causing the horn to blare (no, it wasn’t the secret mole Enid or a suicidal Father Gabriel), but leaves open the question of whether or not Rick is going to be able to get the walker herd back on the road. As the people of Alexandria recover from the slaughter caused by humans, will there be an undead assault to follow? 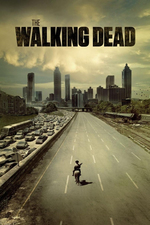 The invasion of Alexandria by what viewers refer to as the “Wolves” and Rick and Daryl referred to as “W’s” created some of the most exciting dramatic tension seen on The Walking Dead since “No Sanctuary.” We have witnessed the devastation this group can cause in “What’s Happened and What’s Going On,” when they reached Noah’s home in Richmond. Yet seeing their brutal slaughter first-hand, and their ultimate defeat, created thrilling television. In “First Time Again,” Rick shared his natural selection philosophy with Morgan, that people who have merely lived, but haven’t learned how to survive, “they’re gonna die no matter what.” We saw this belief come to fruition in “JSS,” with many of the original residents of Alexandria becoming victims to the invaders. Of course some did fight back, notably Aaron, who has experience with the outside world. Yet it took Carol, the ultimate wolf in sheep’s clothing, to protect the entire community. We love badass Carol, and she was both poignant and terrifying to watch. When she put on that Wolf hood, she threw off her veil and became the calculated killer we know her to be. After all, as Morgan pointed out, all true survivors in this world are killers. Morgan tried to tell her that he knew she didn’t want to kill people and that she didn’t have to, but Carol knew better. 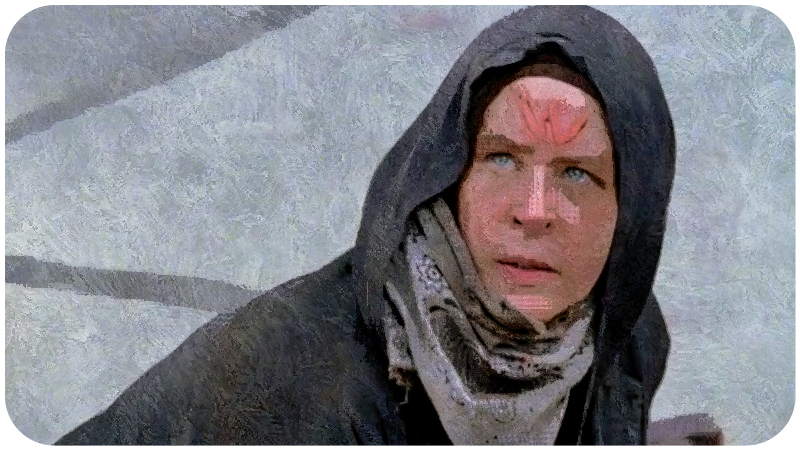 When she struggled to remove the bloody “W” on her forehead at the end of the episode, we were glad she ended up on the side she did at the fall of civilization. Prior to the start of Season 6 there was a lot of anticipation about the potential conflict between Morgan and Rick, some of which we saw in “First Time Again.” Yet it was the divergent approaches of Morgan and Carol that created additional tension in “JSS.” In the Season 5 finale, “Conquer,” Morgan’s no-kill philosophy led him to restrain the Wolves who attacked him. The consequences of leaving them alive was the death of the hiker Daryl and Aaron had spotted, their finding Aaron’s backpack at the food factory trap, and additional numbers of attackers for the Alexandria incursion. It was beyond frustrating to watch Morgan tie up one of the Wolves while people were still being slaughtered. It was a fantastic contrast to have Carol come along and shoot his captive. Cheers were heard everywhere. Carol’s assertion that of course they have to kill people certainly seemed to be verified, particularly after Morgan let one of the Wolves escape with a gun. It’s not clear, though. if the Wolves lack firearms or choose not to use them based on some back-to-the-earth, animalist philosophy. Everyone else seems to have guns, and the Wolves appear to kill or capture countless people. Perhaps if Morgan didn’t kill the last Wolf he found hiding in a house, we will get some answers about the lifestyle of the Wolves. Though it’s easy to blame Morgan for leaving the two Wolves alive or Aaron for letting the pictures of Alexandria fall into the wrong hands, speculation is high about whether or not Enid is associated with the Wolves. Did more happen to this young girl between her parents’ deaths and her arrival at the gate than we were shown? If that is the case, the Wolves had a mole in place well before they got their hands on the Alexandria pictures. 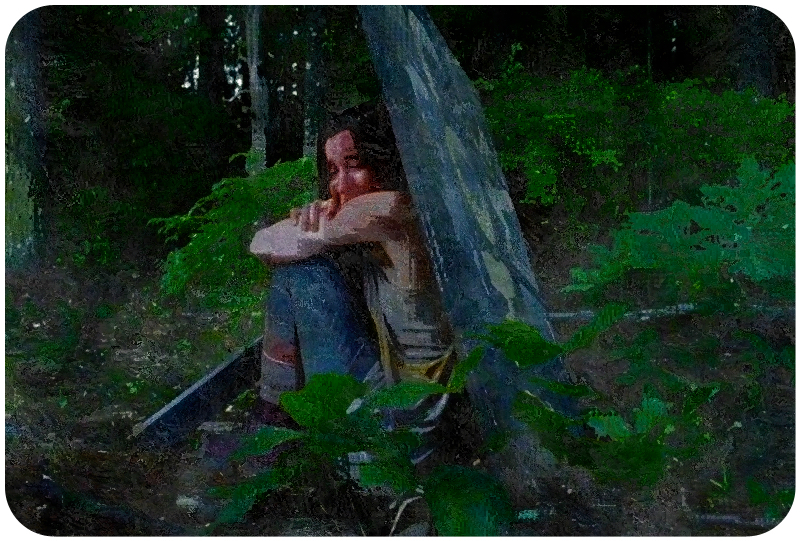 Enid does sneak out to the woods a lot, and in “First Time Again” she was flashing a lighter outside the walls. The attack by the Wolves seemed to be timed perfectly, as though they had at least some kind of inside knowledge. They might not have known where the guns were kept, but they did know that most of the heavy hitters would be out of Alexandria at the time of the attack. 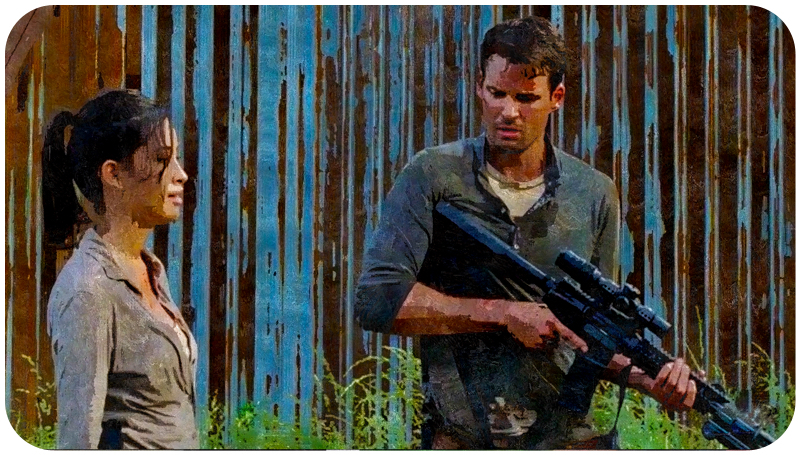 Three original Alexandrians stepped up to the plate in “JSS.” Aaron’s strong sense of morality and experience outside of Alexandria drove him to defend the community alongside Rosita. Jessie did what she had to in order to protect her children, showing that she truly is a survivor. Dr. Denise managed to make an attempt to save Holly, with a little support from Tara and Eugene. Both Dr. Denise and Heath, whom we met in “First Time Again,” seem like good Season 6 additions to the cast. As the community of Alexandria faces more threats, some of the original residents will inevitably be pruned while others will grow strong. We finally learn more about Enid. Her parents were killed by walkers, leaving her alone in a dangerous world. As Enid hides from walkers she writes “JSS” in the dirt. She writes it again on the car window. 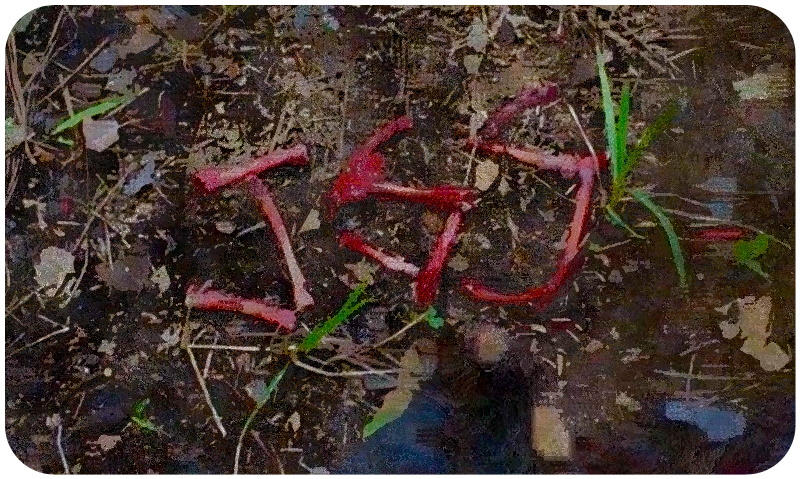 As she eats a turtle raw (making fire without matches is not exactly easy) she uses the turtle innards to write “JSS” on the ground. Eventually, she finds herself outside the gates of Alexandria and hears laughter. She writes “JSS” on her hand, and enters Alexandria. It is only at the end of the episode that we learn what “JSS” stands for—Just Survive Somehow. And she does. Carol is browsing at the supply pantry with the other Alexandria womenfolk. Though Rick and Daryl know her to be a ruthless killer, the women of Alexandria know her as someone who can make a killer casserole. Erin tells her that her Canned Ham recipe is a miracle, adding, “Ms. Peletier, You are an honest-to-goodness hero.” One of the women, Shelly, complains that she could make great noodles if she only had a pasta machine, which seems to annoy the others. Carol, fully in her role, joins in the cattiness. She tells Shelly she could teach her how to make pasta, but she’d have to promise not to smoke in the house because it’s a disgusting habit that will kill you. The other women love her snub. Mean girl Carol just makes friends, and a few enemies, everywhere she goes. Sam isn’t the only Anderson struggling with Pete’s death. Jessie wants to cut older son Ron’s hair, but he sees through her ploy to try to get him to talk to her. She asks if he blames her, then she reminds him how abusive and dangerous his father was. Ron thinks Rick is the dangerous one. He may be right. Outside the walls of Alexandria, Maggie tries to bring Deanna back to the living. Maggie reminds her, “Everyone that’s here is here because of you. You need to show ’em you’re still here.” Losing her husband right after her son has resulted in grief so deep Deanna is drowning in it. She makes the motions of following Maggie, taking the seeds that Maggie hopes to plant once the expansion of the wall is complete. Eugene and Tara come into the infirmary looking for aspirin to treat Tara’s headache and dizziness. Denise, the new doctor, is there, studying. Dr. Denise is a psychiatrist who had panic attacks during medical school. Pete didn’t want Denise around, so we already like her. Tara becomes her first patient, though Eugene seems to have some misgivings. When Dr. Denise is relieved that Tara’s symptoms make it unlikely she will end up killing her patient, Eugene points out, “I mean it is possible if you miss a hematoma or something.” Let’s hope Eugene and Tara stay around for a long time, because they’re our only comic relief on The Walking Dead. Elsewhere Carl is walking Baby Judith down the street. 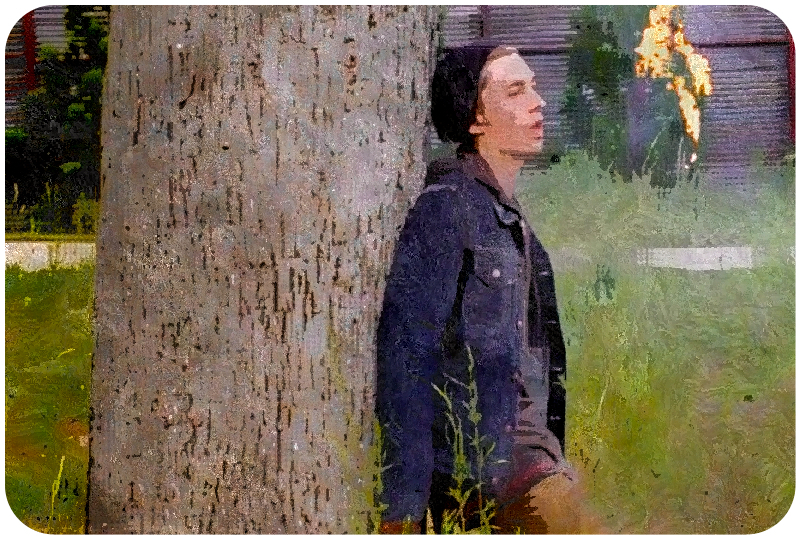 He sees Ron and Enid hanging out, but before Carl can turn around and avoid an embarrassing teen encounter, Carl is intercepted by Father Gabriel. Everyone’s pretty unhappy about Father Gabriel dissing them to Deanna, including Carl. Father Gabriel acknowledges that his actions were motivated by his own self-doubt. He asks Carl if he’s still willing to teach him how to defend himself. 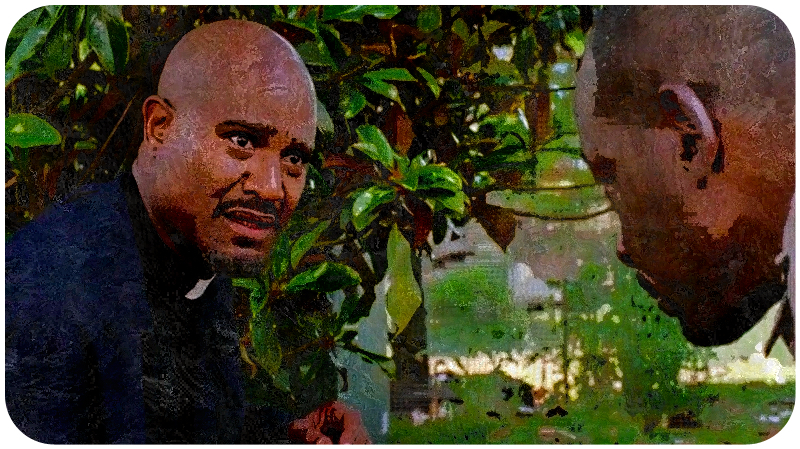 Carl is willing, as long as Father Gabriel confesses his sins to the group. As he walks on, Carl catches Enid’s eye as she and Ron hug. After putting a casserole in the oven and turning on the timer, Carol disdainfully watches neighbor Shelly smoke in the yard. It appears Carol’s barb has gotten Shelly outside of the house for her smoke break. Suddenly, a man runs behind Shelly and kills her with a machete. WHAAA? Alexandria is under attack. Maggie and Deanna hear yells inside the walls of Alexandria. They ask Richard, who is on watch, what’s happening, only to see him fire-bombed. Maggie tells Deanna they must get inside. After seeing the attackers approach, Carl comes downstairs. 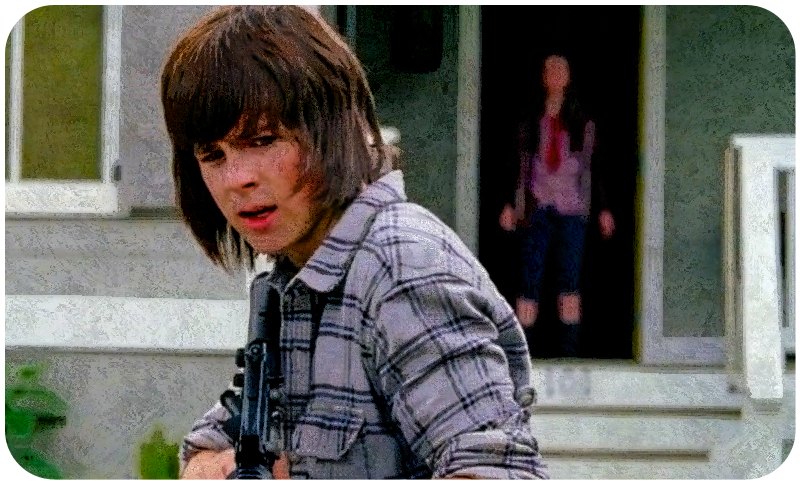 Carol tells him to stay back at the house to keep Judith safe and goes out with a gun. After Carol leaves, Enid shows up at his house to tell him goodbye, but he tells Enid she has to stay to help protect Judith. When it comes to his sister’s safety, Carl can definitely assert himself. Enid tells Carl Alexandria is too big to protect, adding, “This place has too many blind spots. That’s how we’re able to—,” but she doesn’t get to finish her very intriguing comment because Carl is focused on her staying. Carl tells Enid he doesn’t want her to say goodbye. In the Anderson home, Jessie tries to get Sam to lock himself in a closet so she can look for Ron, but it’s too late. Jessie locks herself and Sam inside the closet when they hear someone enter their house. Jessie takes out her gun. Good thing she’s been taking shooting lessons from Rosita, and even better that Rick called for people to be armed inside of Alexandria. Though clearly not everyone is armed. Carol kills one of the Wolves who just sliced Erin, the woman who had complimented Carol’s cooking earlier. She holds the crying Erin in a motherly embrace, comforting her and trying to quiet her. 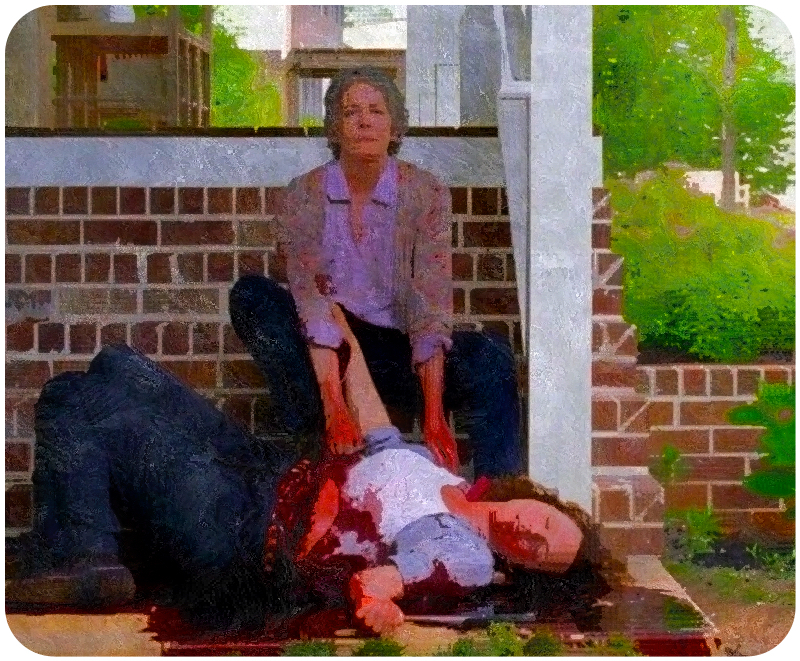 Then Carol finishes the dying woman off with her knife. At least we assume she was dying. Carol has to take a breath and steels herself before she can continue. Deanna’s surviving son Spencer is on watch in the tower. He can see the Wolves in his rifle scope, but isn’t doing well shooting them. A semi trailer truck comes speeding towards Alexandria and crashes into the tower and the wall. Its loud air horn goes off, explaining the blaring horn pulling the walkers off track in the previous episode. Spencer climbs down from the tower to deal with the horn, but finds a walker in the front seat. Hmm, how did this dead fella drive the truck into Alexandria? Before he can kill the walker, Morgan shows up. Spencer explains they are under attack and Morgan tells him they need to get inside, but when Spencer doesn’t move Morgan tells him to hide. We kinda feel sorry for Spencer because what’s happening is absolutely terrifying and beyond anything he has experienced before. Morgan heads into Alexandria. Once Morgan is inside the walls, he faces one of the Wolves, telling him, “Leave please.” They are about to begin fighting, but Carol, dressed in the garb of the Wolf she killed earlier, arrives and quickly kills the man. It becomes immediately apparent that Carol and Morgan have very different approaches in dealing with dangerous humans. Well Morgan, nobody likes it … except these crazy marauding Wolves, oh, and that “claimed” gang, and the Governor of course. And we can’t forget the cannibals at Terminus who claimed they had to kill to survive but sure enjoyed chowing on Bob’s leg right in front of him. Isn’t that how you tell good guys from bad guys in a story? Villains kill because they enjoy it, while heroes kill because they have to. She doesn’t actually say any of that—instead Carol insists they need to get to the armory. Maggie is looking for a way into Alexandria, and she and Deanna find Spencer. Deanna says the best thing she can do is stay out of the way, which rings true. Maggie tells Spencer to keep his mother safe, while she goes inside. Deanna gets into the cab of the truck and stares into space. Aaron, Eric, and Rosita bring the wounded Holly to the infirmary. 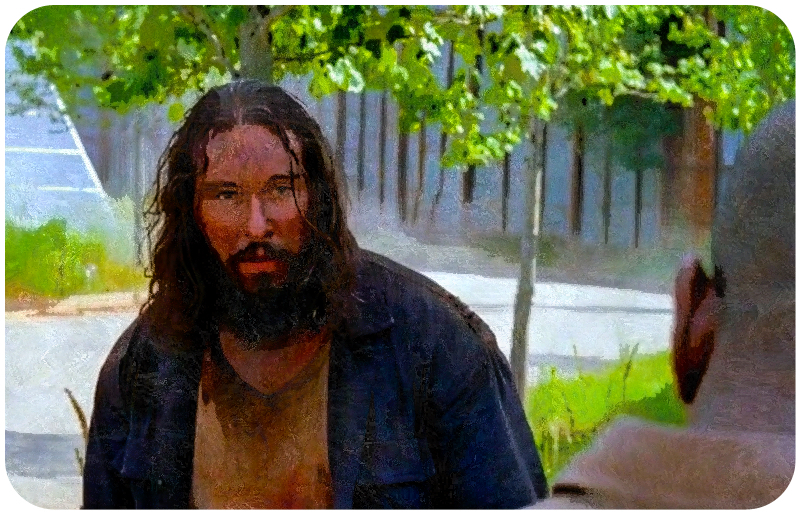 Aaron and Rosita return to the fight, while Tara, Eugene and Eric stay at the infirmary. Dr. Denise is reluctant to operate on Holly’s femoral artery. Eugene tells her, “You don’t want to be a coward, I know.” He speaks from experience and it bucks her up. Out in the open, Ron tries to hide, but one of the Wolves comes after him. Carl saves Ron when he wounds the Wolf. The man begs Carl for help, but then tries to take his gun, and Carl kills him. Carl tells Ron to come inside, that he can keep him safe, but Ron refuses. It’s not clear if he refused because of the teen romance tension or if he just wanted to get back to his own family. Ron gets to his house and tries to get in, yelling for his mom. Jessie leaves Sam in the closet, telling him to lock the door after her, in order to protect her older son. Knowing there is someone in the house, she yells at Ron to stay outside. The invading Wolf hears her and attacks. Jessie is knocked over and her gun flies out of her hand. Before the invader can grab the gun from the floor, Jessie comes after her with her hairdressing scissors. Looks like her skill with scissors came in handier than anyone could have anticipated. As Ron looks on, Jessie stabs the dead Wolf again and again, expressing all her rage and sorrow. Carol, costumed in the Wolf hoodie with a bloody “W” on her forehead, walks Morgan down the street in chains, trying to get to the armory without incident. 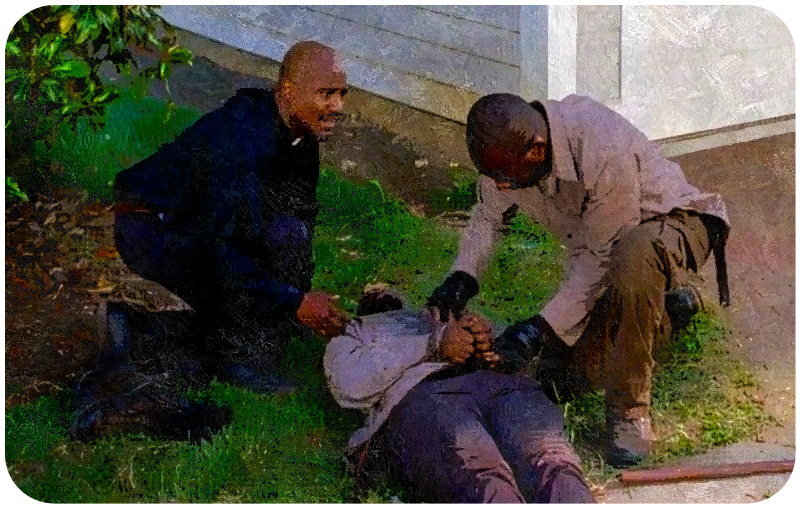 But Morgan sees Father Gabriel being attacked, and unfortunately he isn’t willing to let Father Gabriel die. So Carol’s on her own, shooting anyone who gets in her way until she runs out of bullets. She makes her way into the armory, grabbing a fresh weapon just in time to kill the last Wolf attacking her. Carol finds Lydia hiding in the closet. Carol collects a bunch of firearms, then shows Lydia how to use a gun, telling her to shoot anyone that comes through the door until they are on the ground. Morgan wastes time tying up the captured Wolf who was attacking Father Gabriel. The Wolf tells Morgan, “You’re trapped. You need to know. People don’t belong here anymore.” Before he can say more, Carol arrives and shoots him in the head. She’s like an extremely violent superhero. She gives Morgan and Father Gabriel guns and runs off to help the others. Morgan gives his gun to Gabriel, who says he’s not good with guns, Morgan responds, “Me neither,” and walks away. Maggie has made her way inside and Carol gives her a gun. Aaron and Rosita are also killing the interlopers. It’s refreshing to see them taking charge like this, as both Aaron and Rosita are often relegated to the B team on the series. Carol and the others walk through Alexandria, killing what remain of the Wolves. Morgan finds himself surrounded by five of the wolves, one of whom was one of the attackers he let live in the episode “Conquer.” He tells them to leave, that they have guns that could be aimed at them right now. The wolves aren’t able to challenge Morgan. Morgan tells him, “You keep choosing this life, you will die.” The Wolf who previously attacked him responds, “We didn’t choose.” As he and the others leave Alexandria, he manages to grab a gun. Carol looks at Shelly’s body and the pack of cigarettes next to her. Could she be feeling a little guilty for shaming her neighbor into smoking outside? Cigarettes really do kill. Carol has trouble wiping the “W” in dried blood off her forehead. She notices there is a red “A” on her banister and begins to cry. We’ve seen the use of the “A” symbol several times in The Walking Dead. First Rick and the others were held in a red train car marked “A” while they waited to be slaughtered at Terminus. 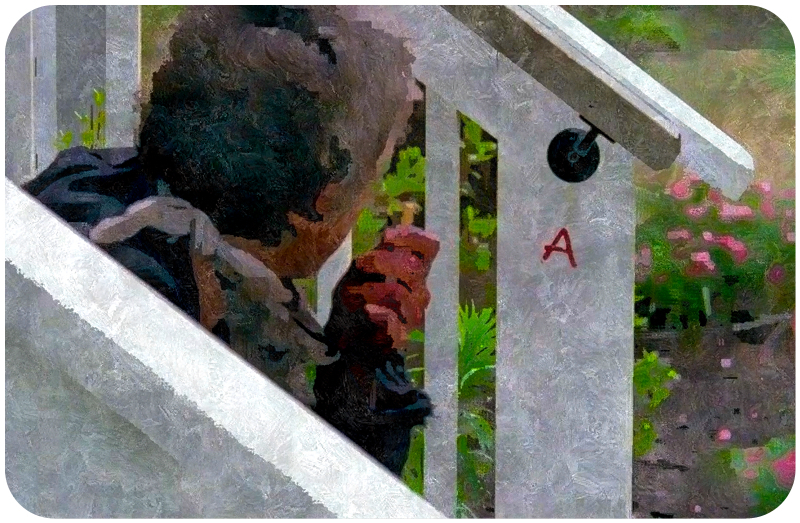 In “Four Walls and a Roof” the Terminus cannibals painted a red “A” on Father Gabriel’s church to remind Rick and the others that they are the hunted. The last time we saw the use of “A” was in “Forget” when Sam used a red “A” stamp at Deanna’s party to label the newcomers part of the Alexandria family. Could Sam have left this symbol for Carol after she chastised him earlier? Has Carol become part of Sam’s family despite her attempts to push him, and all the feelings he engenders, away? Carol never went to the party, though, so perhaps it reminds her of Terminus and everything she has had to do to survive. Aaron is checking the bodies to ensure no one will turn. He finds one of the dead Wolves holding his backpack with the pictures of Alexandria he left when he and Daryl were trapped in the car. He realizes that is how they found Alexandria. In the infirmary, Dr. Denise isn’t able to save Holly. Tara tells her, “At least you tried. You are a doctor …” But Dr. Denise is upset and tells them all to leave. Tara adds, “All I was gonna say is make sure you get her brain.” Good suggestion. Enid has left a note for Carl that says, “just survive somehow.” The oven alarm goes off and Carl takes out Carol’s casserole. Life can be changed forever in the time it takes to bake a casserole. 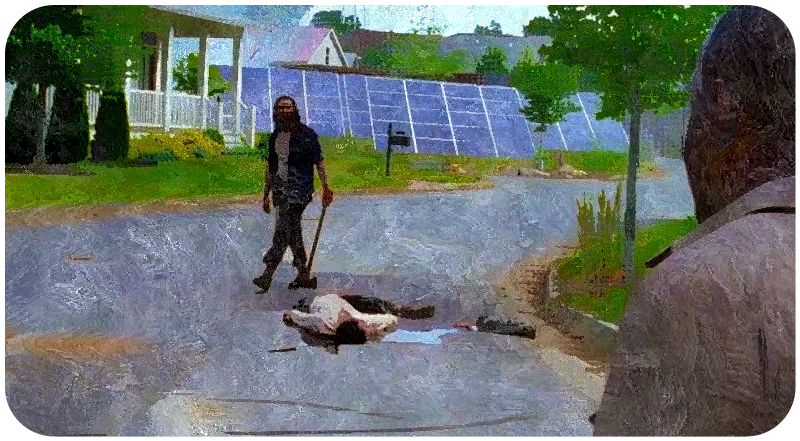 Morgan walks along the street, dealing with the dead that have turned. He sees a house door open and enters. In the house, a Wolf hides—it is the other attacker Morgan had spared in “Conquer.” They fight and the Wolf recognizes Morgan’s reluctance to kill him, saying, “You can’t, can you? You should have.” Morgan says he’s sorry and hits the Wolf with his pole. Carol and Morgan, both looking defeated, walk towards each other in the road. As they walk amongst the dead bodies and blood a glance passes between them, but they pass each other wordlessly. In “JSS,” The Walking Dead shows us that to “just survive somehow” is no easy task. And those who do survive must live with their actions, whether they felt they had a choice or not. “JSS” was a fantastic episode that kept us on the edge of our seats, and The Walking Dead has left us eager for more as we wait to see if the walker herd will arrive in Alexandria. Great review. I can only read other people’s reviews after I’ve written my own, otherwise their ideas find their way into mine. Carl: I’m one of the few people that don’t actually have a problem with Carl unlike most teens in such shows he’s a lot less whiny and angsty and even has stories and character arc of his own. It’s been interesting watching this little boy grow into a strong and brave man, during the apocalypse. But he’s still at that age where he’s waffling between Morgan’s and Carols philosophies of killing, it seems. Deanna: Yeah, she seems to have thoroughly lost her spirit. She seems little different than a zombie herself, just going through the motions and sleepwalking through her role. It’s so sad to see her like this and to think to myself, Rick was right. She’s a perfect example of how the Alexandrians aren’t ready for this world. Sam: It could be that the reason he’s responding to Carol is becasue of the parallels between his Mom and her. The two of them have much in common. Perhaps he sees the faint ghost of his mother in Carols face. His mother becasue she’s been sheltered in Alexandria, hasn’t had the chance to become what Carol is yet, but the potential is certainly there, as we can see. She, like Carol seems to have some backbone after her abusive husbands death. 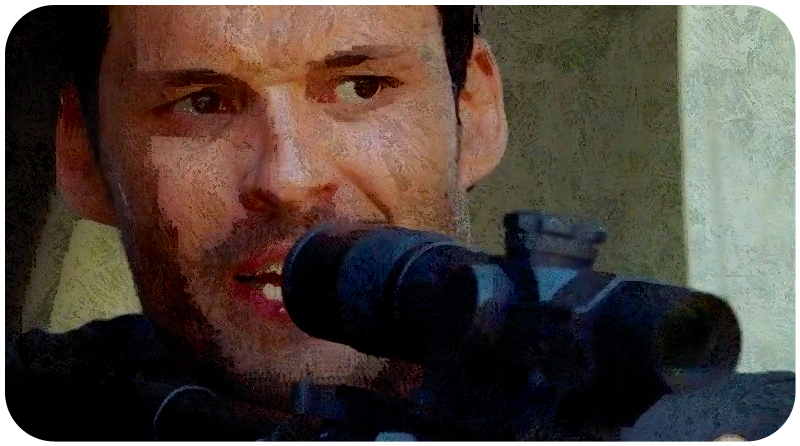 Aaron: It was nice watching Aaron get to be a badass. I’m sure he’ll get a few more opportunities to do so in the future. Carol: Is one of my favorite characters, not just becasue she’s a badass but becasue she has discovered something true about herself and mostly just accepted it. Rather than crying and angsting about her inner wolf, she tries to use if for good, and I can respect that. Morgan: I actually like Morgan’s philosophy. It’s very admirable.Like Carl, I’m a non violent person, who knows killing may sometimes be unavoidable. I use Jesse as an example of that. The Wolves and the Terminans are an example of necessary killing, I’m afraid. I hope to get backstory on how he learned his bo staff skills though. Thanks! I’m the same way in terms of needing to write my own before reading others. I really loved this episode. It did a great job of showcasing different aspects of the characters. I really thought the Wolves wouldn’t show up until closer to mid season, so the attack caught me by surprise too.